We all know that Babyface has been around for a while. He has been in talks about his recent divorce. 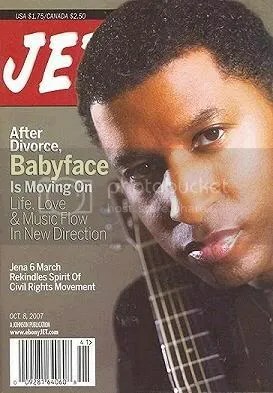 Babyface is back with a new ablbum but you will get a chance to here him speak candid on the oprah show today. Don’t miss Kenny “Babyface” Edmonds on The Oprah Winfrey Show TODAY at 4pm EST on ABC as he talks to Oprah about his newly released album PLAYLIST and performs “Not Going Anywhere,” a song dedicated to his children. Babyface graces the cover of JET Magazine…. You are currently browsing the archives for the Babyface category.